Liverpool and Chelsea are reportedly among the clubs in a battle to seal the transfer of Real Madrid playmaker Isco this summer. Don Balon links the Reds and the Blues alongside the likes of Manchester City, Bayern Munich and Paris Saint-Germain as admirers of the talented Spain international. Although Isco hasn’t always been a guaranteed starter during his time at the Bernabeu, he’s increasingly become an important player for club and country in the last few years. There seems little doubt the 26-year-old could shine in England and would be a great fit at Liverpool or Chelsea. For Jurgen Klopp, the need for a new creative midfielder seems obvious following Philippe Coutinho’s departure to Barcelona in January. Although LFC did well without the Brazilian in the second half of last term, they surely need more depth in attack in the long term. Chelsea, meanwhile, are out of the Champions League for next season and look in need of major signings and big names to improve on a flurry of poor recent purchases. Isco would surely be a strong option to play either in their front three or as a long-term replacement for Cesc Fabregas pulling the strings in midfield. 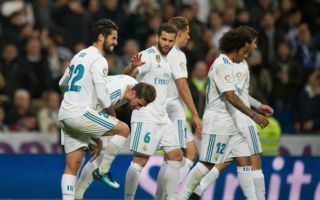 Don Balon have previously reported Isco would likely cost around £70million, though it’s now claimed new Madrid boss Julen Lopetegui is not keen on letting him go.